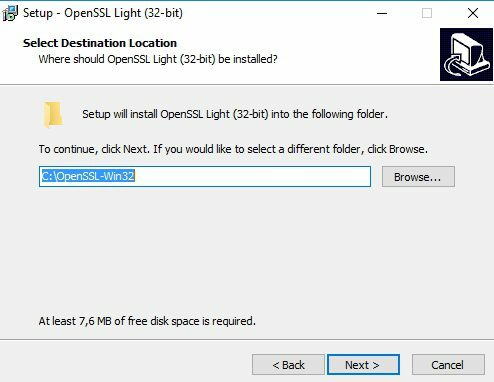 I have a wildcard certificate originally issued for Microsoft IIS web server that I want to use for pfSense vpn access. Certificate is in .pfx format, and pfSense won`t recognize it. 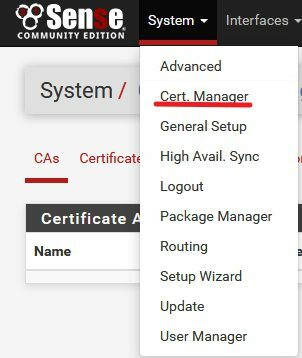 If I want to use the same certificate for pfSense, some changes are needed. 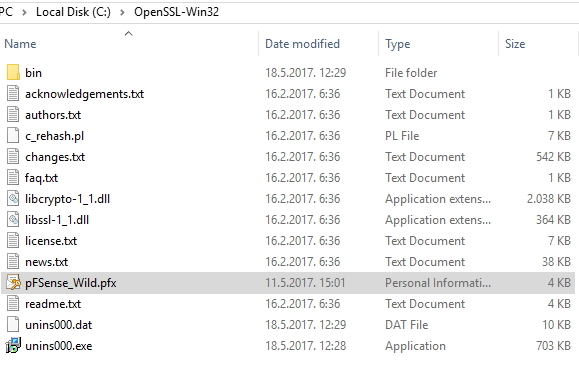 You first need to export certificate from IIS and I won`t be going through that procedure here. 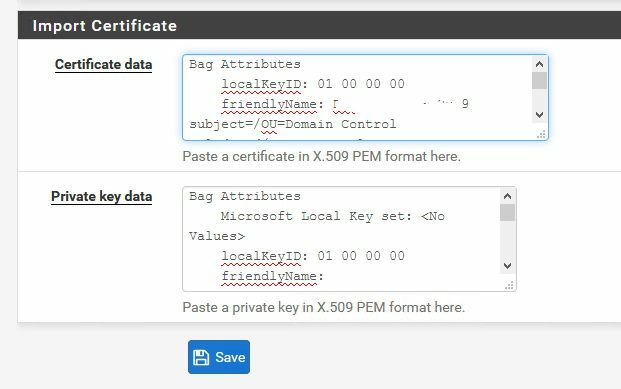 Certificate should be exported in PFX format with private key and all certificates in the certification path if possible. 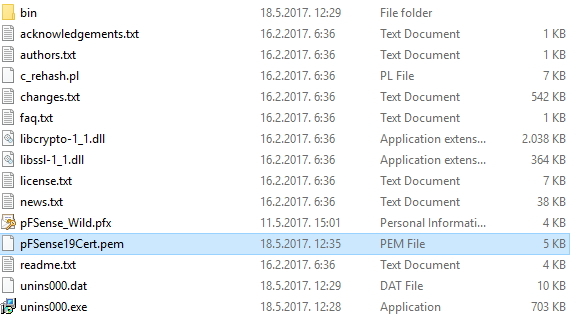 When you have pfx certificate, we need to go through these steps. 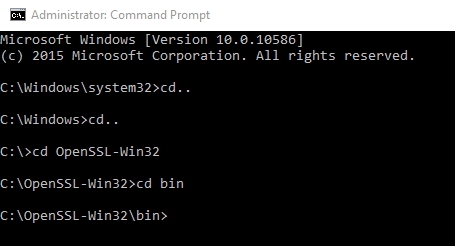 Make sure you choose “Import an existing Certificate” under Method and enter Descriptive name so you know what the certificate is. 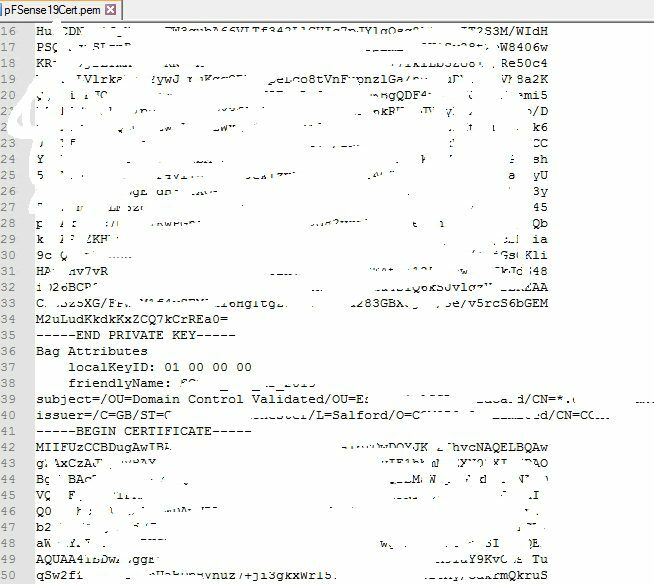 As I previously said – in your PEM certificate there should be two part – private key and Certificate. We will now copy separately both parts of the certificate into the fields. 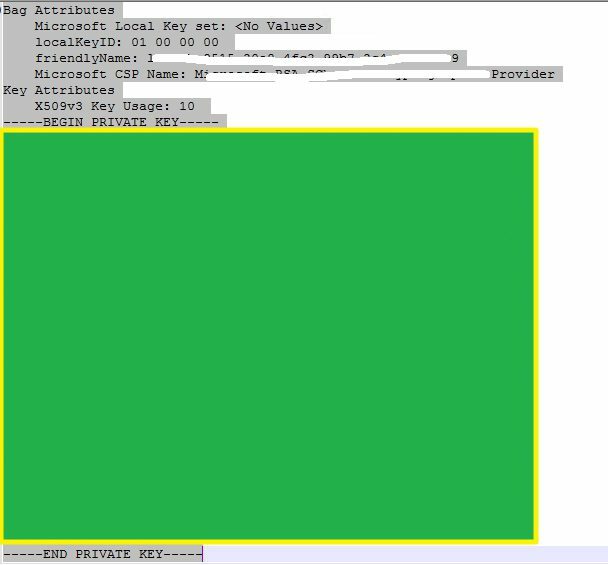 So – begin selection at “Bag attributes and end at the “End private key” – Green portions of the screen is here so you cannot see my key. 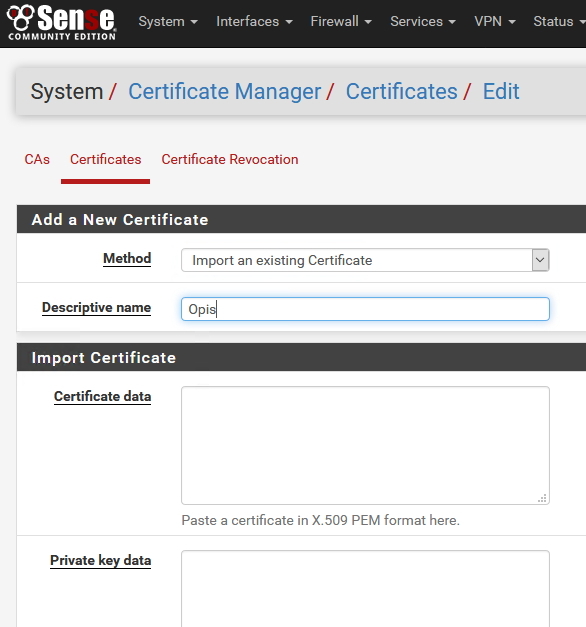 That is the procedure, after you save imported certificate you should be able to use it.